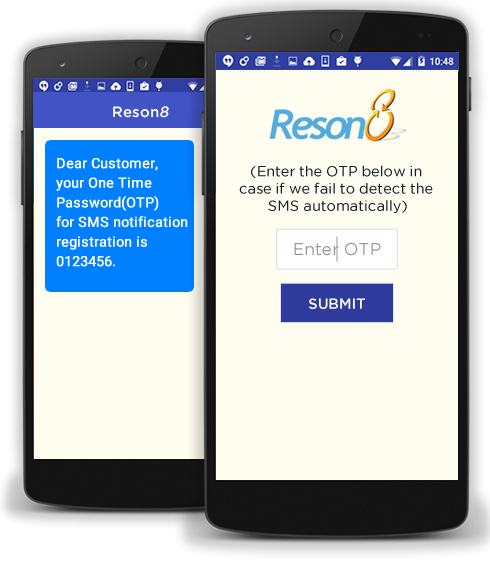 Reson8 OTP is a simple HTTP based service for sending a One Time Use Password to a registered mobile number for authentication purposes. The service is offered free to our current users (https://www.reson8.ae). New subscribers will automatically be able to take advantage of this service. It does not require any software or hardware installation, thus significantly reducing the acquisition and operating costs of a strong authentication solution. The complete service of managing the OTP codes and broadcast of messages will be handled by us. It can help you accurately verify users who would like to access your services in a friendly and cost effective manner. 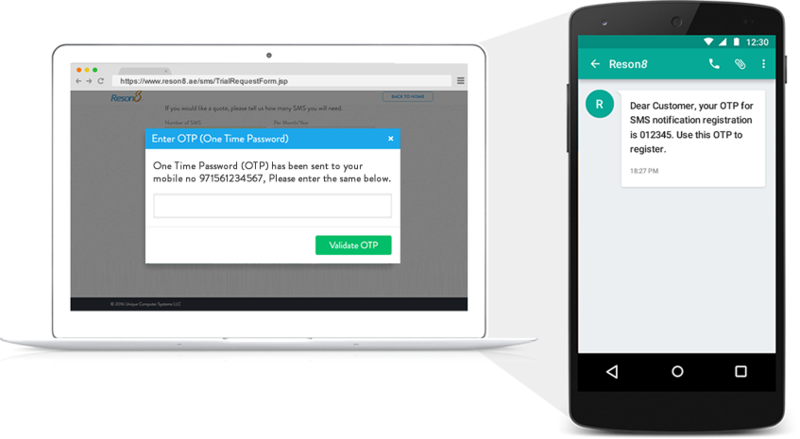 Contact us to find out how using Reson8 OTP can quickly and easily help you improve user verification and increase conversion rates.